The script of I’m Your Man is now published by Currency Press as part of Acts of Courage: three headphone verbatim plays by Roslyn Oades. 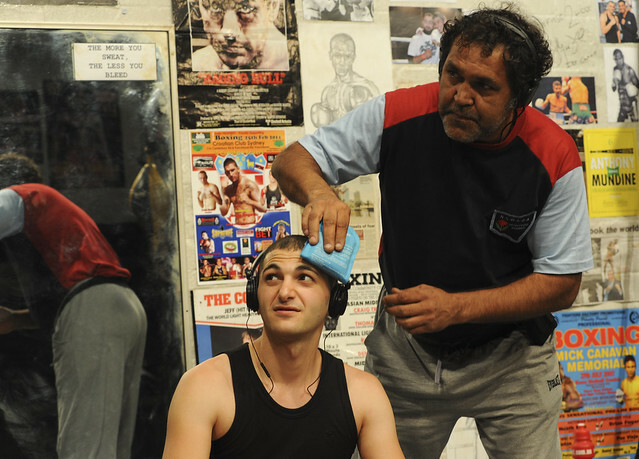 For 18 months theatre-maker Roslyn Oades and her trusty tape recorder followed a determined, young boxer from Bankstown through his preparations for a world-title fight. 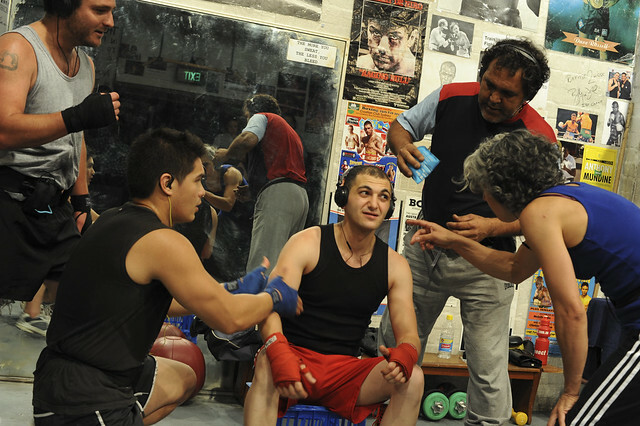 I’m Your Man is the story of who she and her tape recorder met along the way: past legends, up-and-comers and failed contenders whose lives have been irreversibly changed by the fight game. 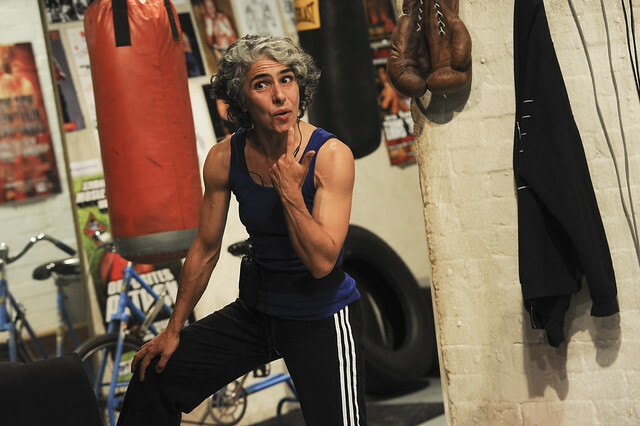 For Sydney Festival, Downstairs Belvoir turns boxing gym: place of dreams, of glory, of a better life, where everyone wants to be special and only one thing is certain – that no matter how high you fly you will eventually lose. I’m Your Man is no ordinary slice-of-life. 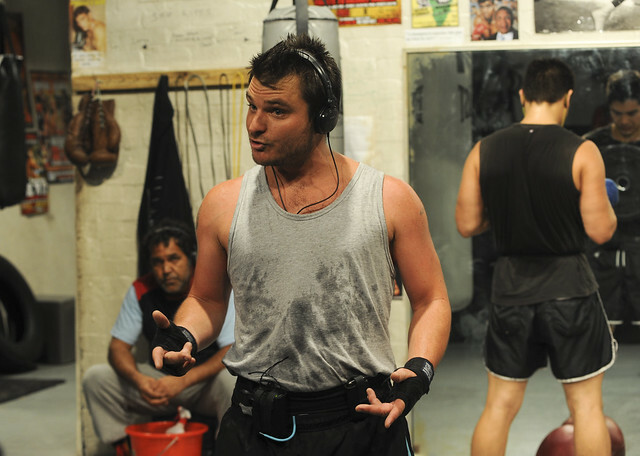 The actors wear earpieces and take their lines directly from the ringsides, gyms and dressing rooms of Oades’ recordings. This is fuelled-up, high-stakes, real-deal theatre. I’m Your Man is the third of a trilogy by Oades about acts of bravery and the psychology of respect. 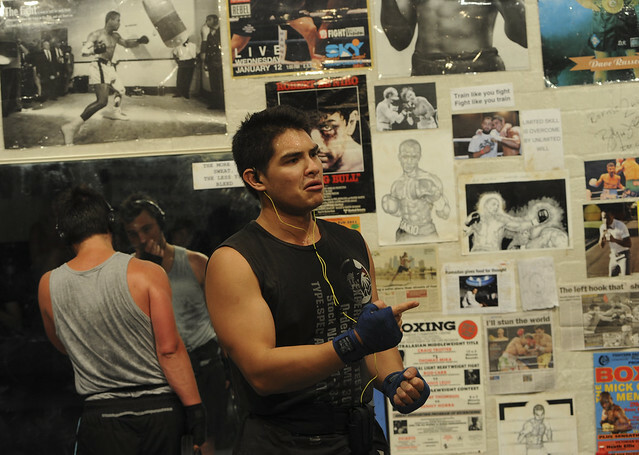 Behind the thrilling, brutal sport lies a compelling tale of courage and its cost. Rehearsal Photos by Bill Reda. You seldom see theatre (verbatim or otherwise) as vivid and warm as this. Astonishingly authentic … Oades has an extraordinary ability to take us into different worlds. 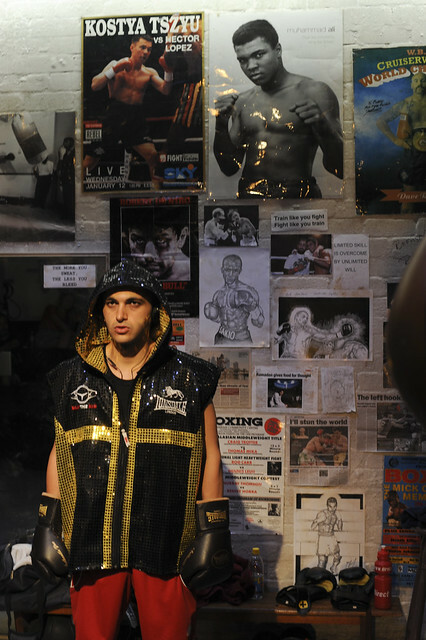 I’m Your Man gets into and under your skin, landing punches long after the players exit the ring. 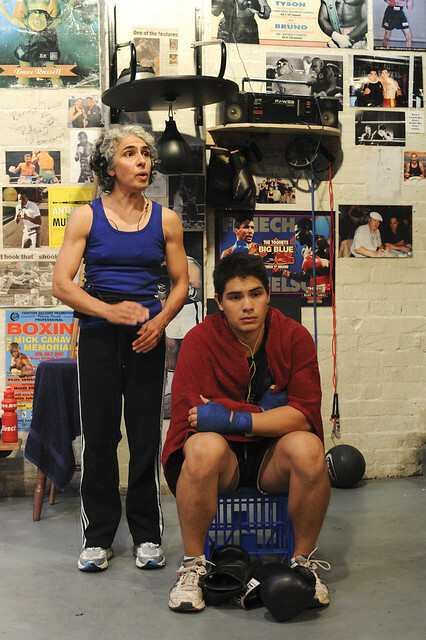 I loved I’m Your Man, and if you allow yourself to be transported through the doors of Belvoir Downstairs into a so-real-seeming boxing gym, creator/director Roslyn Oades and her multitalented, impressively athletic cast ensure you will, too. 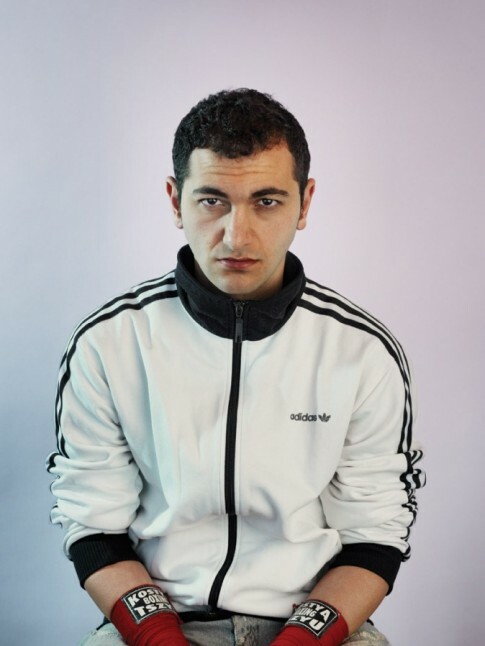 This is a remarkable, highly skilled and moving work of theatre. The actors won a round of applause for their superb skipping routine alone and a standing ovation at the end. It’s rare to see theatre as immediate, sweaty and full of life and emotion as this one. Don’t miss it.